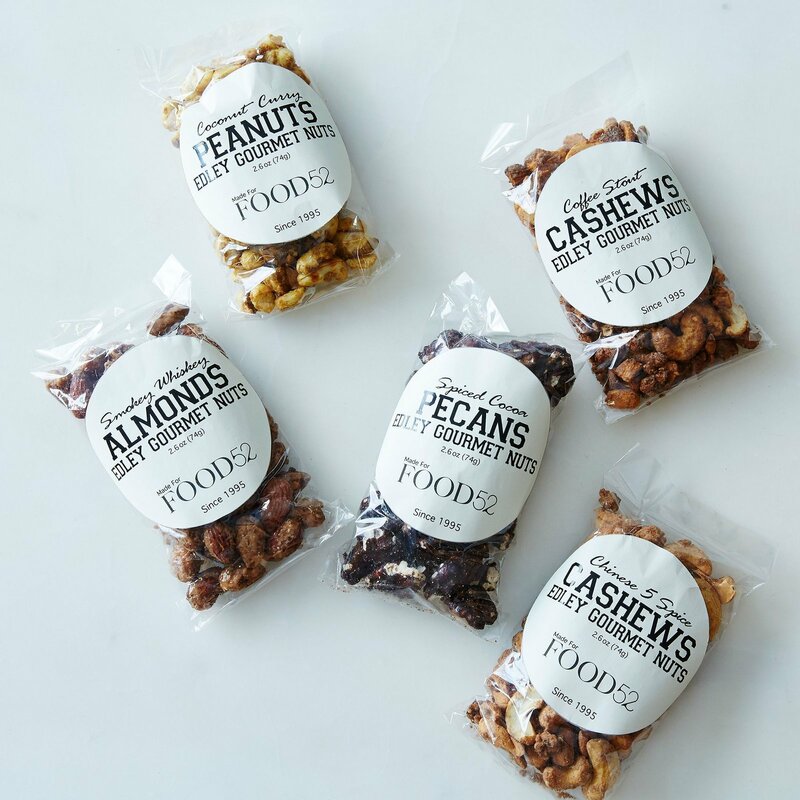 Whether you choose the smokey whisky almonds, spiced cocoa pecans, coffee stout cashews, coconut curry peanuts, Chinese 5 spice cashews, or Sriracha peanuts, each of Neil’s six spiced nut varieties are vegan, kosher, and absent of fat, oil, and butter. They’re all about the crunch, the nuts, and the awesome flavor combinations. Serve them at your next happy hour, give them as a gift (they come in an exclusive Food52 burlap sack), or use them as ingredient in your cooking. Sriracha peanut-crusted chicken breast, spice cocoa pecan pancakes, Chinese 5 spice cashew snack mix -- the list goes on and on.